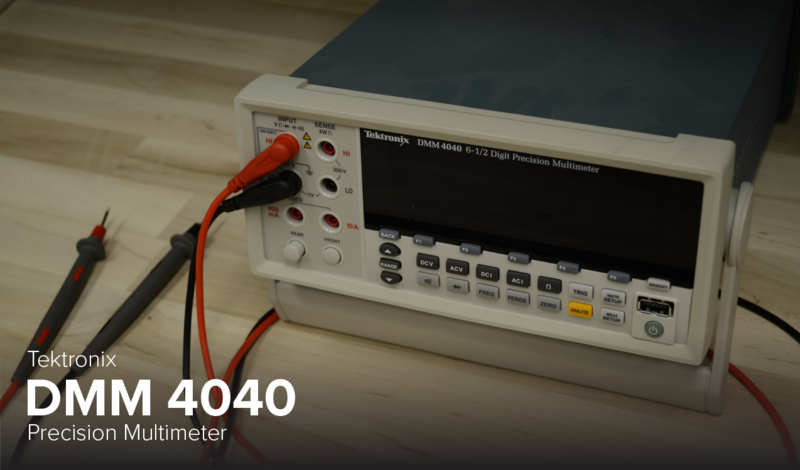 The DMM4040 digit bench multimeters pack many different functions and analysis into one instrument, all with exceptional precision and performance. Typical multimeter measurements – volts, ohms, and amps – are made with a basic VDC accuracy of up to 0.0024%, and resolution of 100 pA and 10 μΩ, ensuring you have the performance you need for today’s demanding designs. You can also use the DMM4040 to measure frequency and period, and to perform continuity and diode tests.